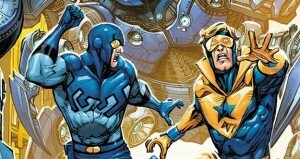 Blue Beetle and Booster Gold Movie Coming? In what was an exclusive for about ten minutes, the site The Tracking Board reports that Warner Brothers decided that maybe their TV approach is on track after all, and people would pay to see it in the theaters. 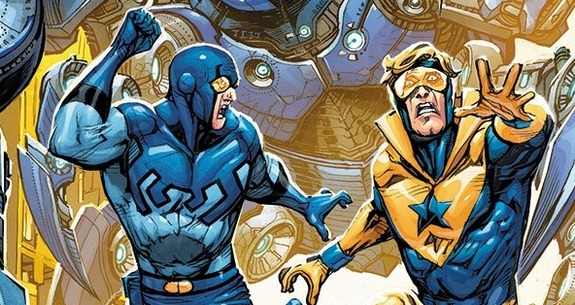 Okay, that’s not really how they said it, but it’s clear: Warner Brothers plans to develop a Blue Beetle/Booster Gold movie, described as a superhero buddy cop movie with an emphasis on comedy. Which it should be. Not only that, but the studio wants Arrow/The Flash/Supergirl executive producer Greg Berlanti to direct and executive produce the film, with the possibility of Zak Penn writing the script. …if they know who Blue Beetle and Booster Gold are. Originally solo characters, they teamed in Keith Giffen and J.M. De Matteis’ Justice League International comic in the 80s. Blue Beetle was millionaire industrialist Ted Kord, and Booster Gold was 25th Century disgraced football player Michael Carter, who stole technology and traveled back in time. Didn’t Pat Morita and Jay Leno do this one? Even though Ted Kord has recently reappeared in DC Comics, the Tracking Board reports that the movie will team Booster with Jaime Reyes, the third Blue Beetle whose powers come from an alien scarab artifact. 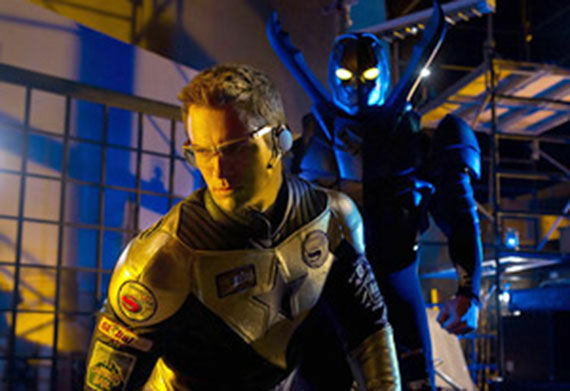 This pairing had been hinted at in the last season of Smallville, when both characters appeared in an episode, played by Eric Martsolf and Jaren Brandt Bartlett. Then, fans had hoped for a spin-off, and though that never materialized, Alex Winter directed a proof of concept short featuring Jaime Reyes. If this project is meant to be part of the larger DC Cinematic Universe, choosing Jaime over Ted makes a little more sense, even though the tone will be very different. The scarab that gives Jaime his powers is a weapon created by an enemy of the Green Lantern Corps. It’s obviously way too soon for casting, but let the speculation begin!